"We are partnering with the National Association of Letter Carriers to 'Stamp Out Hunger, '" said Lindsay Dawkins, marketing and events coordinator at Regional Inter-Faith Association. Postal carriers are hoping you will deliver something to your mailbox on Saturday to help your community. That was the third-highest amount since the food drive began in 1993. In 2017, Postal Service carriers collected over 75 million pounds of food nationally, feeding an estimated 30 million people. It is further reported in the press release that one in six Americans, many of them children, struggle to get enough to eat. "They know that food is going to stay within the community and really help out their neighbors", she said. Blue Valley folks say that in the last three months, they have provided 295 families with food - totaling 687 individuals. 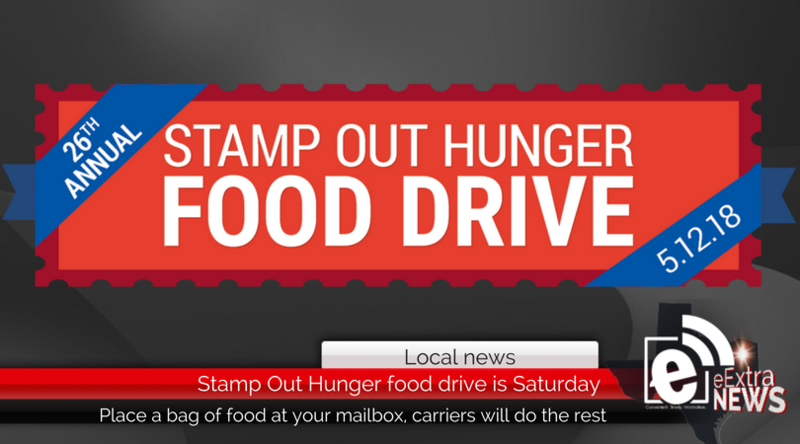 This is the 26th annual Stamp Out Hunger drive. Southern California also accounted for two other areas in the Top 10 a year ago. Volunteers can meet letter carriers at the dock of the Marion Post Office, at 202 W. Third St., at 8 a.m. Saturday. Most needed items include: canned meats, meat-based soups, canned fruits, canned vegetables, peanut butter, rice and beans. Food collected during Saturday's drive will be delivered to local community churches, food banks and food pantries for distribution. For more information, please call the Food Bank at 255-9741.